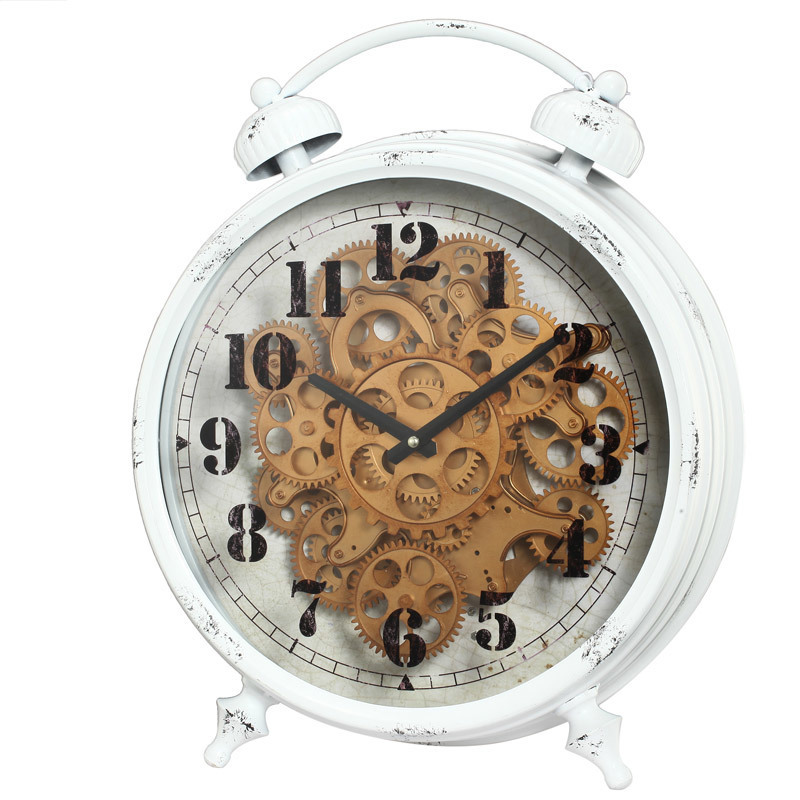 The mechanical look of this metal gear wall clock wont go unnoticed. It is industrial, antiqued and unique all at the same time and will beautifully add to the elegance of your setting. Great looking item, perfect for home, office. Could be an ideal gift. Made of metal and glass.